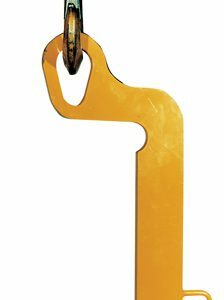 Vertical “Eye” Coil Lifter efficient handling of vertically stacked coils. Leg positioning handle is easy to operate andhas a positive locking feature. Handles any size coil I.D. from 16″ to 20″.